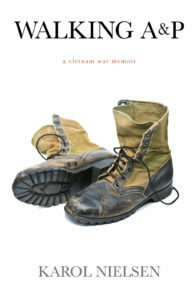 Walking A&P: A Vietnam War Memoir By Karol Nielsen Her father was part of the 101st Airborne Division during the Vietnam War. Now, 40 years later, Karol travels to Vietnam to retrace her father’s footsteps. This is a touching, and inspirational story about one man’s journey through one of the darkest times in world history. Nigeria: A Failed State? 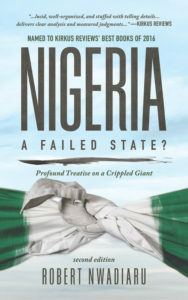 Treatise on a Crippled Giant By Robert Nwadiaru The state of Nigeria rests upon a knife’s edge. Dwindling oil prices, global shifts away from fossil fuels to renewable energy sources, and the ubiquity of corruption in the country’s bureaucracy has created palpable fear. It cannot only be felt at the local, state, and national levels, but in communities, schools, and the homes of its citizens. Despite these issues, as one of the leading oil- and gas-producing countries in the world, Nigeria has a responsibility to lead the African region out of poverty and into the modern world. They have the resources and determination, but it will take overcoming decades of entrenched corruption to find a way forward. Nigeria: A Failed State? treats in exhaustive detail the history of Robert Nwadiaru’s home nation and the contemporary political, social, and economic obstacles facing the country as it attempts to modernize. 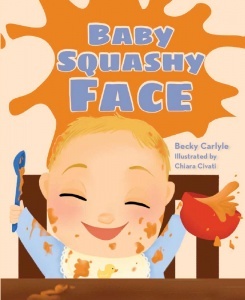 Baby Squashy Face By Becky Carlyle Baby Squashy Face gives us a humorous inside look at a baby eating squash for the first time. When Mom and Baby end up covered in food, Baby speaks up to tell us all about the messy experience. This fun, relatable, and easy-to-read children’s book is sure to be an instant classic. 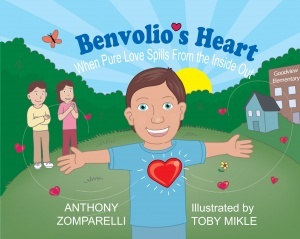 Benvolio’s Heart By Anthony Zomparelli Benvolio has a very big heart; he’s always been kind to people he cares about. Now his heart is challenging him to be nice to someone who was bullying him at school. This heartwarming story will inspire kids to show kindness to everyone they meet, even the people they might not get along with at first. 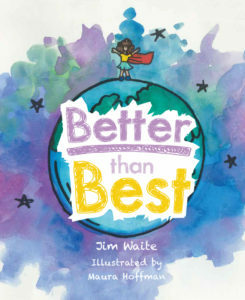 Better Than Best By Jim Waite Do you strive to be your best every single day? Do you help others to be their best? 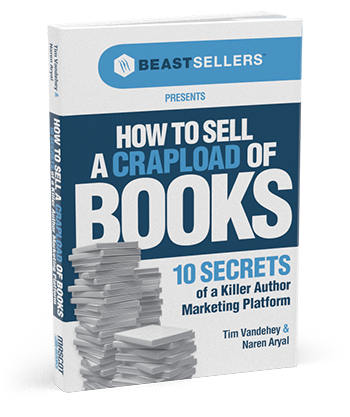 Follow this cute, motivational book as it helps you to become the best version of you that you can be. 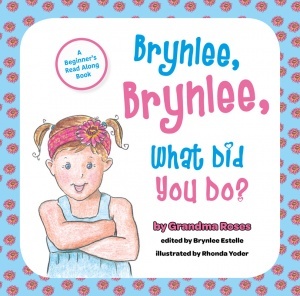 Brynlee, Brynlee What Did You Do? By Grandma Roses Brynlee loves her family. Follow along as Brynlee makes cookies with her grandma, cheers her brother on at his baseball game, and goes to the mall with her mom! 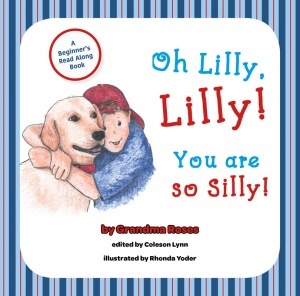 Part of a series about the author’s grandchildren, this book includes conversation starters on each page that the whole family will love reading and discussing. Chloe’s Toy Race Car By Dr. Bernadette Fleming Chloe gets an awesome race car for her sixth birthday, and it’s her favorite toy! But some of Chloe’s friends think that toy cars are only meant for boys. 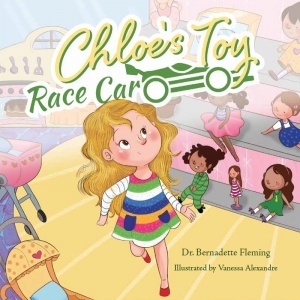 Join Chloe as she shows her class that anyone can play with any toy as long as it makes them happy, and that girls love race cars, too! 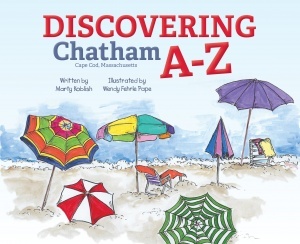 Discovering Chatham A-Z By Martha “Marty” Koblish Discover the many places you can go and fun activities you can do with your family while in Chatham on Cape Cod, Massachusetts, by following the alphabet from A to Z. Through engaging illustrations and rhymes, author Marty Koblish and illustrator Wendy Fehrle Pape combine their personal love of the area into each page. Learn about and experience the beauty of Chatham and all it has to offer! 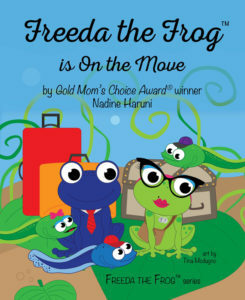 Freeda the Frog is on the Move By Nadine Shanker Freeda the Frog is On the Move is the latest book in the Freeda the Frog™ series by author Nadine Haruni! After Freeda marries her new husband Samson, she welcomes him and his tadpole into her lily pad with her two tadpoles. But soon, Freeda and Samson realize fitting five frogs into a small pad is much harder than they realized. Making the scary choice of moving to a new home, city, and school, the frog family grows closer. Nadine hopes that this book will help children worrying about moving away from their friends, family, and homes see that there’s always a silver lining. 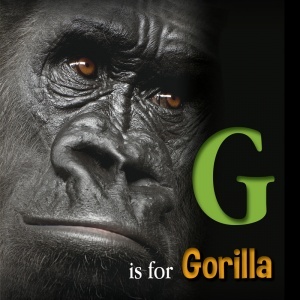 G is For Gorilla By Dana Lynn Price A portion of the proceeds from the sales of this book will be donated to organizations helping to save endangered gorillas and local zoos. With the population of gorillas decreasing each day, every single life is precious and every single donation can and will help. 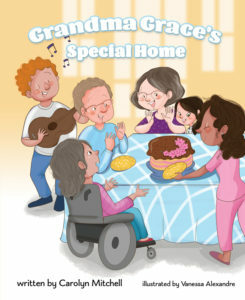 Grandma Grace’s Special Home By Carolyn Mitchell In this fun and informative book, a granddaughter gives her view on what daily life is like for elderly people who live in retirement homes. More than that, this touching story shows the importance of spending as much time with loved ones as possible. 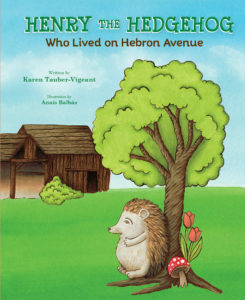 Henry the Hedgehog Who Lived on Hebron Avenue By Karen Tauber-Vigeant This is a story about a hedgehog named Henry who lives in a country barn next door to an elementary school. Henry’s parents warn him to stay away from the children at the school. Henry’s curiosity eventually leads him to the school’s library where he finds more than he was looking for! A heartfelt story for any child about to embark on the adventure of reading and school. Told by a curious and lovable hedgehog. Iowa State Fair A to Z By Coach Sloth Experience the Iowa State Fair from A to Z! 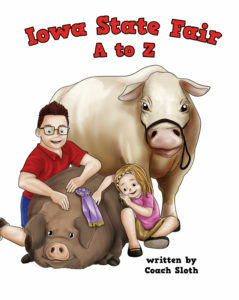 Packed with adventures and fun facts, this book is sure to capture the attention of young readers…and they might be begging their parents to take them to the Iowa State Fair as soon as they finish it. #JustaGobbler By Woody Baron, James Baron, and Henry Taylor Hokie has been waiting his whole life for this talent show, but now that the day is here, he begins to have some doubts. Will he be able to see that he is not #justagobbler? 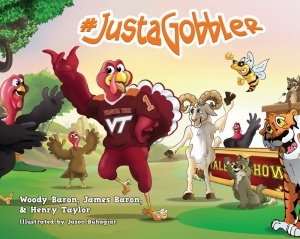 This inspiring and encouraging tale is a delightful read for Virginia Tech fans of all ages. 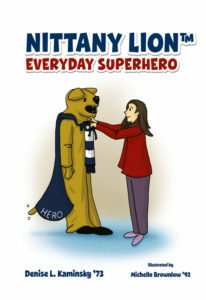 Nittany Lion Everyday Superhero By Denise L. Kaminsky Join Nittany Lion on his walk as he helps all those in need. With his caring attitude and selflessness, Nittany Lion shows readers what it means to be an everyday superhero. Oh Lilly, Lilly! You are so Silly! By Grandma Roses Coleson loves his dog Lilly. Follow along as Coleson and Lilly ride bikes, go swimming, and fly kites! Part of a series about the author’s grandchildren, this book includes conversation starters on each page that the whole family will love reading and discussing. Oh No! Not Chlo-Nado! 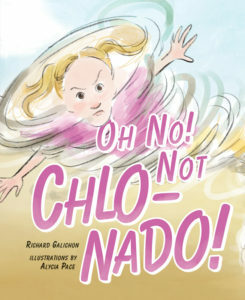 By Richard Galichon In this touching story, follow Chloe as she tries to cope with her ADHD. This is a story about the impact that having ADHD can have on a child, and the importance of having loving, caring adults to help them on their journey. 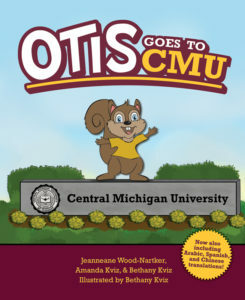 Otis Goes to CMU: Trilingual Edition By Jeanneane Wood-Nartker Otis has just started at Central Michigan University. He meets Pip, his new roommate, and the two of them have a lot of fun adventures together! Follow along as they cheer on their school’s sports teams, try new activities, and enjoy every minute at Central! PAWS and THINK! Be Thankful For What You Have By Miranda Mittleman Have you ever wondered what it’s like to see that world from a dog’s perspective? In this fun, heartwarming book, follow Weaver, a black and white spotted dog who loves to play and go on trips, as he discovers the importance of being loved. 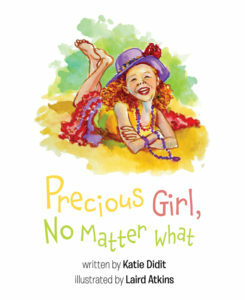 Precious Girl, No Matter What By Katie Didit Sometimes we need help to know that what we want or feel is okay. Or that we’re okay, just as we are. Precious Girl, No Matter What was written to provide this guidance and comfort to girls regardless of their age, what they may be going through, or where they may come from. 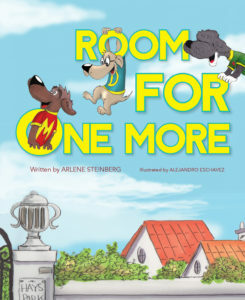 Room for One More By Arlene Steinberg Marshall and Dewey are so happy to play all day, every day! The two of them would never have it any other way. So when Ozzie comes to the park and asks to join in their fun, Will they have it in their hearts to let him play or will they send him on the run? 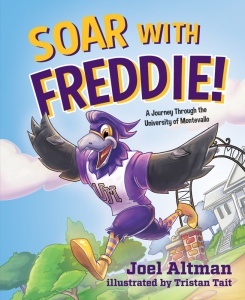 Soar With Freddie: A Journey through the University of Montevallo By Joel Altman From his magical beginning on the shore of University Lake, to visiting the Antebellum buildings on campus, playing NCAA Division II sports, living campus life, and preparing for College Night, soar with Freddie the Falcon as he takes a trip through his beautiful and historic home…the University of Montevallo! 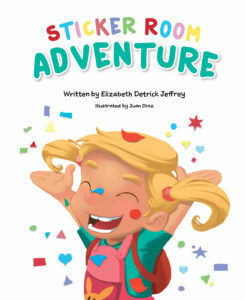 Sticker Room Adventure By Elizabeth Detrick Jeffrey Do you like adventures? Do you like making art? Join Phoebe and her two friends, Max and Luke, as they go The Sticker Room, a room where they get to put stickers of all kinds anywhere they want! This is a fun, imaginative story about companionship and creativity. 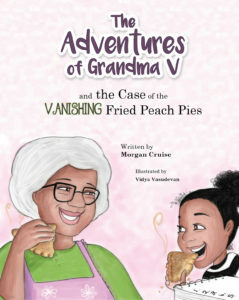 The Adventures of Grandma V and the Case of the Vanishing Fried Peach Pies By Morgan Cruise Grandma V’s fried peach pies keep disappearing but no one knows why. Good thing Juliana loves solving mysteries! Follow along as Juliana learns about Grandma V’s memories of the Civil Rights movement while she solves the case of the missing pies. 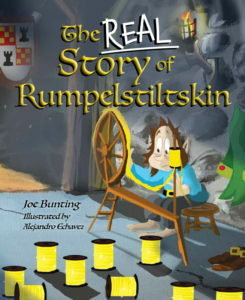 The REAL Story of Rumpelstiltskin By Joe Bunting In this exciting adaption to the popular fairy tale, follow the journey of Rumpelstiltskin as he attempts to portray the story as it should have been told…how everything really happened. 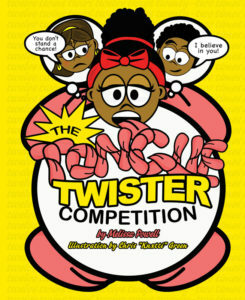 The Tongue Twister Competition By Melissa Powell Do you like tongue twisters? How good are you at saying them? In this inspiring story, follow Carla as she strives to win the tongue twister competition, while not allowing the discouraging words of the other kids to get in her way. 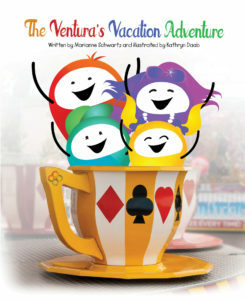 The Ventura’s Vacation Adventure By Marianne Schwartz The Venturas head to Wally’s Wonder World for a day jam-packed with fun. As they roam the park they’ll run into complications and crazy schemes, but they have tons of fun along the way! 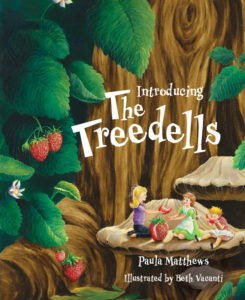 The Treedells By Paula Matthews Treedells live in trees. They’re little, like the bees, and look a lot like you and me, but they are hard to see. When you find them, you will know. Fun and love they quickly show. Stop and look among the trees, and say “Hello” for me, please! In this fun and interactive book, follow the Treedell journey through trees and meadows and learn all about how the Treedells came to be. Richly illustrated through the oil paintings of Beth Vacanti, The Treedells is an instant classic and a must-have for readers of all ages! 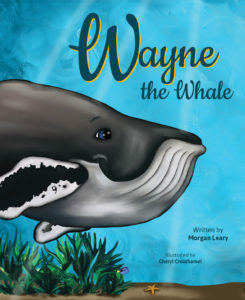 Wayne the Whale By Morgan Leary Join Wayne on his journey to help save the ocean! Wayne is a huge humpback whale happily spending his days swimming, playing, doing tricks, and hunting for food in his majestic ocean home. But when he mistakenly eats plastic thinking it’s food, he gets into some serious trouble…and ends up beached on the shoreline! Will the marine biologists be able to return him to his home so he can help spread the word to other aquatic mammals about staying safe? 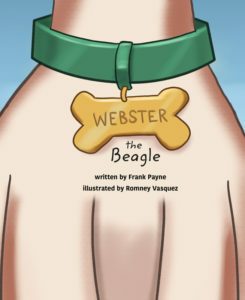 Webster the Beagle By Frank Payne Webster was born a hunting dog, but he doesn’t really fit in with the rest of his pack. One day while out hunting, Webster gets lost in the woods. Sad and alone, he tries to find his way home. Instead, he finds the best thing ever—a loving owner! Surrounded by the love of his new family, Webster finds his true calling in bringing joy to the people around him. 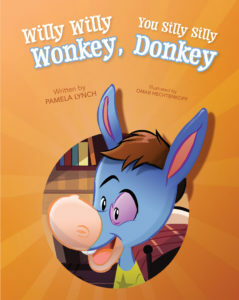 Willy Willy Wonkey, You Silly Silly Donkey By Pamela Lynch Willy Willy Wonky is a silly, silly donkey. Read along to witness his goofy misadventures, and his mom’s sweet comfort that gets him through the day. 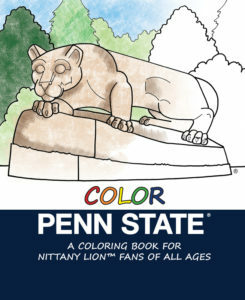 Color Penn State: A Coloring Book for Nittany Lion Fans of All Ages Simple enough for kids but detailed enough for adults, Color Penn State is a spirited coloring book that captures the unmistakable pride of Penn State® with remarkable vision. Unleash your creativity and Penn State® spirit today! 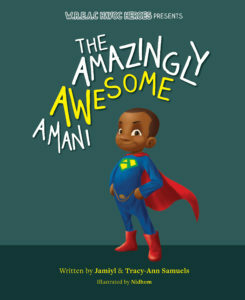 The Amazingly Awesome Amani By Jamiyl and Tracy-Ann Samuels Amani Taylor is a boy of few words until he falls asleep. When night falls, he becomes AWESOME AMANI—crimefighting superhero and defender of all that is good. Taking on life’s challenges by day and tackling superhero problems by night, there’s nothing Amani can’t do! 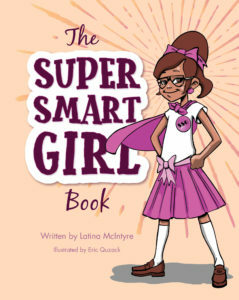 The Super Smart Girl Book By Latina McIntyre Join the fierce and respectful Royal in showing her passion and love for life through the empowering stories of her everyday adventures. The Super Smart Girl Book features the first two stories in the incredible hit series seeking to enlighten and inspire young girls everywhere.